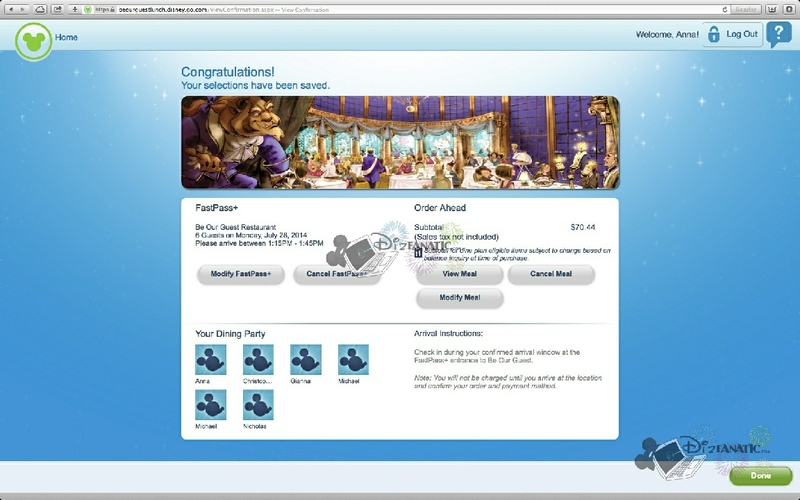 Disney Testing New FastPass Plus Advance Ordering System For Dining! 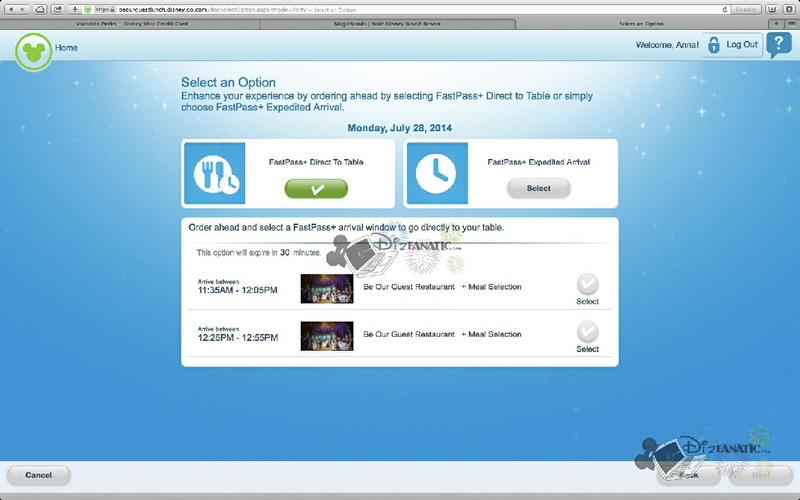 Disney has begun testing on a new FastPass Plus feature for dining at the Walt Disney World Resort in Florida. 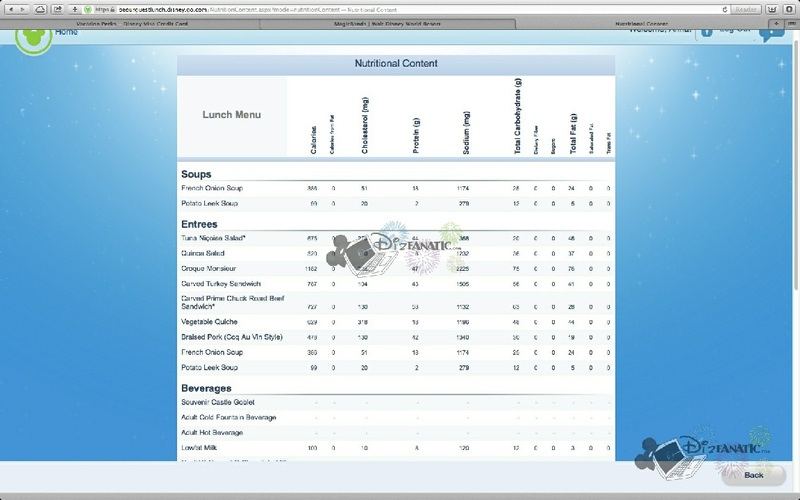 This new system will give guests options at many of the popular quick serve locations for both advance seating (ADR) and advanced meal ordering. 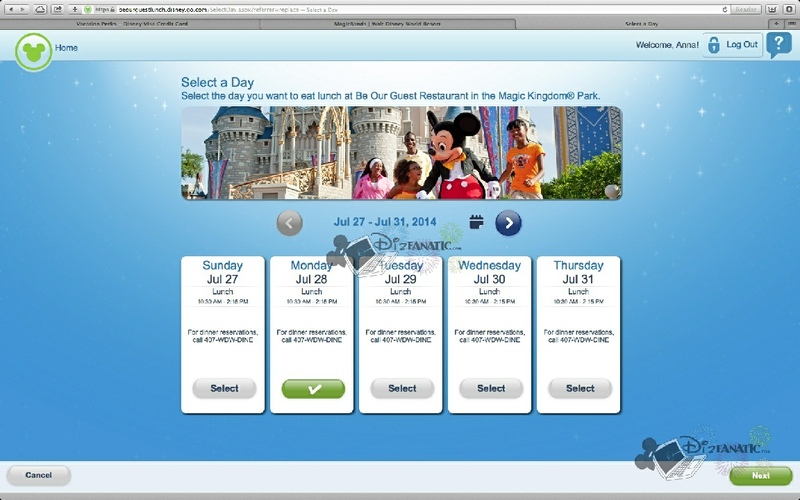 Now before you freak out; #1 - this is in testing stage, #2 - this is an OPTION just as other FastPass selections are. So before we get into the love/hate relationship, I’ll get into the facts. 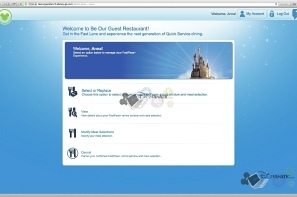 I’ve been invited to try the system for a meal next week at Be Our Guest in Magic Kingdom, for lunch of course. For those of you who don’t know, BRG operates as a Quick Serve restaurant at lunchtime, and a full Table Service restaurant for dinner. While they’ve incorporated the ADR seating system for both lunch and dinner at Be Our Guest, this new option in testing will allow you to also select your parties' entire meal in advance, on the My Disney Experience website, or app in the near future. 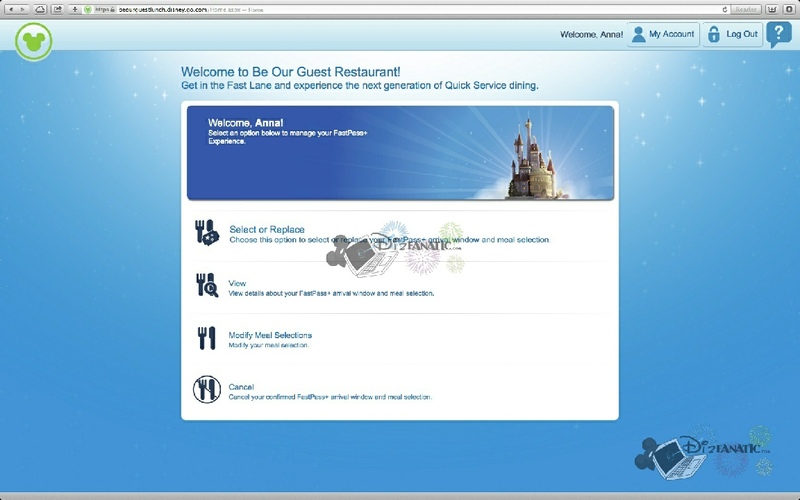 So here’s how it goes; First you select whether you wish to make a seating reservation only, where you arrive at the location during a standard 30 minute FastPass+ time window, then order your meal and be seated. 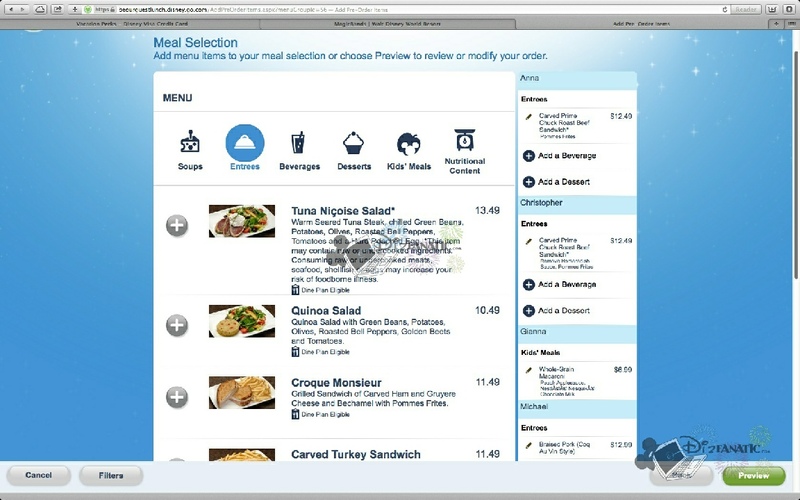 The other option takes you to a menu page where you can begin to select your meal, and everybody else’s meal who is linked to your MME account. 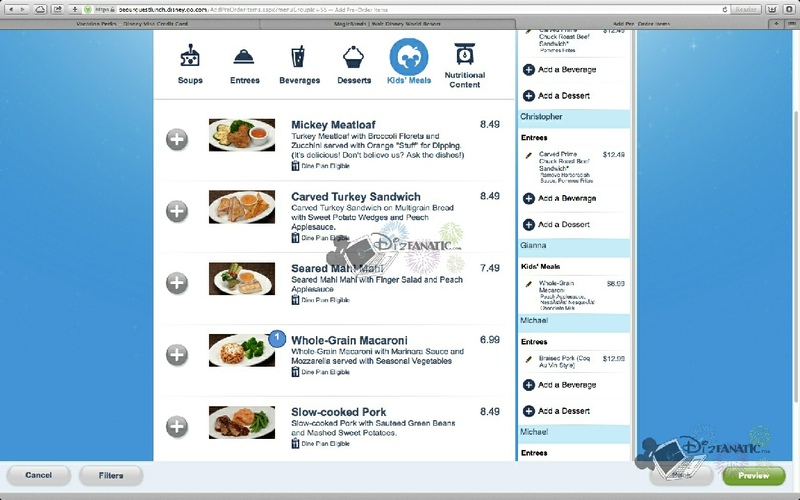 You can see the entire menu, with prices, photos and even nutritional information for each menu selection. This I like, being extremely budget conscience, and having just lost 60 lbs - and want to keep it that way. And, get this… for some items you can even modify the selection by, for example, removing the horseradish sauce from your yummy prime rib sandwich. 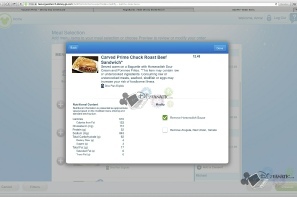 It even will tell you the modified nutritional information. 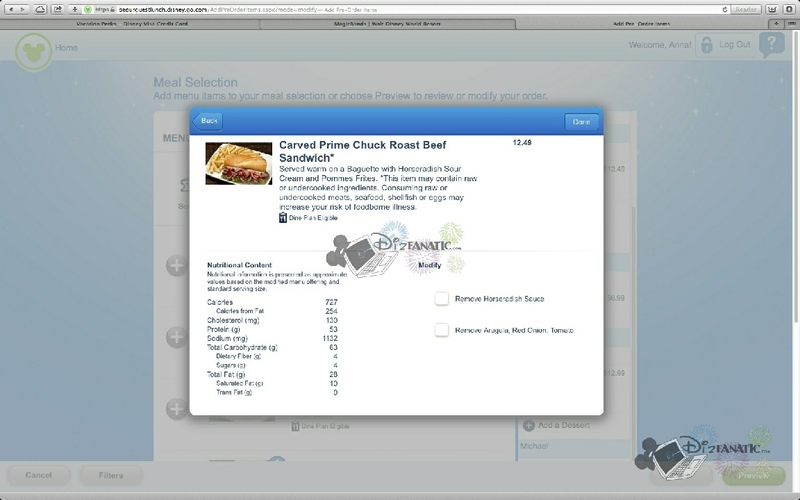 (Just wish it showed Weight Watchers Points also…) You can change your selections later, so if your entire party isn’t with you, they can make their selections or change them later. 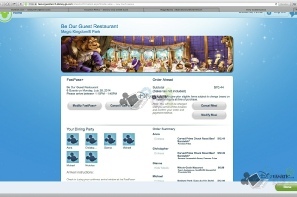 If you select the advance order option,then when you arrive at your selected restaurant, within your FastPass+ time window, you will be seated and your meals will arrive at your table shortly thereafter. I’ll be timing it and let you know how this all pans out. Now having ordered for my entire party of six, I am looking forward to seeing and feeling the results of this process. Again, I know this will not be to everybody’s liking, but it’s a nice option for those who wish to plan to the extreme, or just want to enjoy this restaurant’s selections, but get in and out quickly. 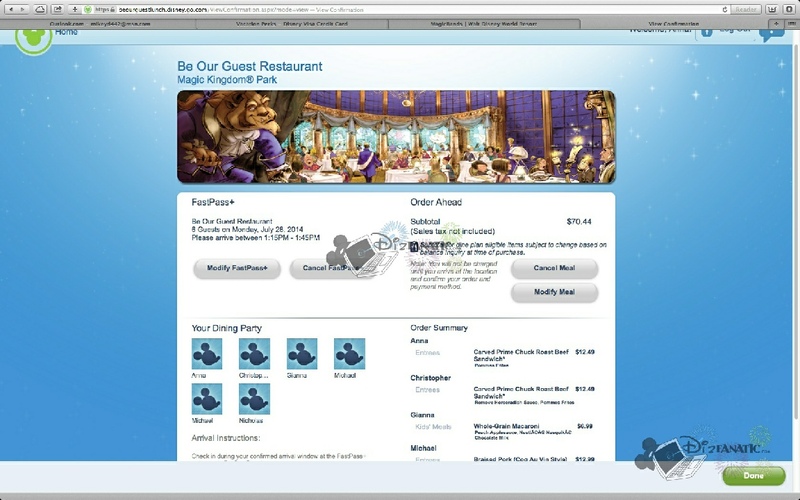 With that said, I am assuming (yes Felix Unger, I am) that this will get you in and out of the restaurant much quicker so you can head back out to your favorite attraction, or to go see Tinker Bell in my case. We’ll have an update next week with the results and our feelings after we enjoy our meals. 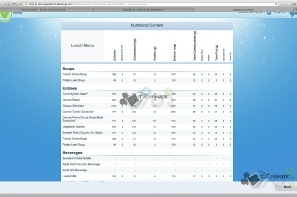 You can make dish modifications for some items and it even gives you the nutritional information. Notice that 111 calories have been reduced by removing the horseradish sauce. 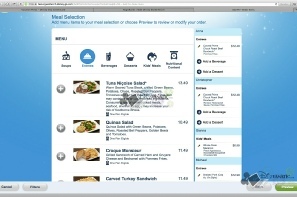 Make your dining selections from the interactive menu. 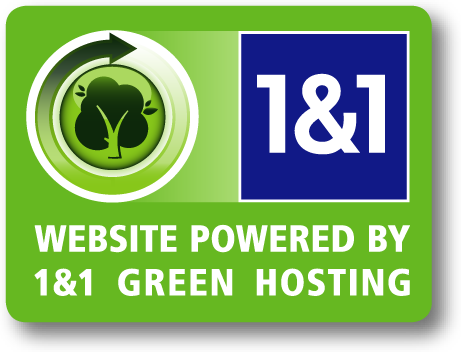 Review your parties selections and make changes if you wish. 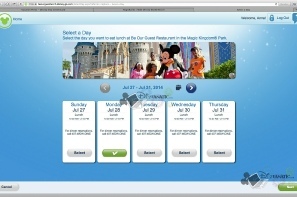 Select your FastPass arrival window from available time slots. 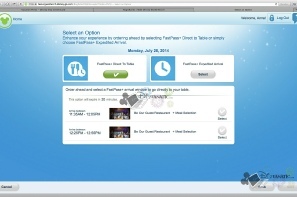 General FastPass selection screen options. Select members in dining party ans task.